Arteriosclerosis and Atherosclerosis – Treatment Programs! According to the American Heart Association, arteriosclerosis and atherosclerosis account for nearly 75% of all deaths from heart disease! To have a significant impact on reducing the number one killer of people worldwide, it would make sense to focus on treatment programs that address these cardiovascular diseases. This author would like to disagree with that statement. The exact cause of arteriosclerosis and atherosclerosis is known! If you look closely at Dr. Ignarro’s statement you will notice the following significant phrase: “. . . specifically to help keep arteries and veins free of the plaque that causes stroke. . .” Plaque formation is at the heart of atherosclerosis. Calcification of these plaque formations lead to arteriosclerosis. The “natural cardiovascular wonder drug” Dr. Ignarro was referring to is nitric oxide, which is produced by the endothelial cells from two important amino acids: L-arginine and L-citrulline. Nitric oxide can specifically prevent both arteriosclerosis and atherosclerosis. Many researchers would also suggest that the proper production of nitric oxide, by your endothelial cells, can reverse both of these cardiovascular diseases. We’ll examine this after we look at the standard treatment programs usually recommended to patients diagnosed with arteriosclerosis and atherosclerosis. Self-Care at Home Treatment Programs! Eat food that is low in saturated fats and low in cholesterol. This is a big topic but in its simplest terms LDL cholesterol (Bad Cholesterol) can damage your endothelial cells leading to plaque formations. Restrict salt intake especially if you have high blood pressure. Again this is a big topic because it only focuses on one mineral: sodium. Also important to this equation is potassium, magnesium, and calcium for proper cardiovascular metabolism. Increase the consumption of high fiber foods especially vegetables and fruits. High fiber foods help to absorb bile salts that your body uses in digestion. Your liver manufactures bile from cholesterol. Thus, high fiber foods are a natural way to reduce LDL cholesterol, which reduces the potential damage they can cause to your endothelial cells. Also, vegetables and fruits have little sodium but are high in potassium, magnesium, and calcium, which helps maintain proper cardiovascular metabolism. Quit smoking. This habit has major effects on your cardiovascular system, especially your endothelial cells. Nicotine damages endothelial cells. Cigarette smoking decreases “Good” cholesterol that helps to protect your endothelial cells and increases the “Bad” cholesterol that damages your endothelial cells. The carbon monoxide produced from cigarette smoking also damages endothelial cells and can facilitate plaque formation. Plus, smoking constricts arteries leading to an increased risk of blockages. Lose weight if overweight or obese. Fat cells absorb and store Vitamin D. Vitamin D inhibits vascular calcification. Vascular calcification is at the heart of arteriosclerosis. Thus, losing weight releases needed Vitamin D back into your system and improves your body’s ability to utilize Vitamin D to reduce multiple risk factors for cardiovascular disease. Mild to moderate exercise under the supervision of a health care provider. Exercise increases blood flow. Increased blood flow stimulates the endothelial cells to produce nitric oxide. Maintain normal blood glucose (sugar) levels. When blood glucose is above the normal range it causes oxidative stress to the endothelial cells resulting in damage and a reduction in nitric oxide production. 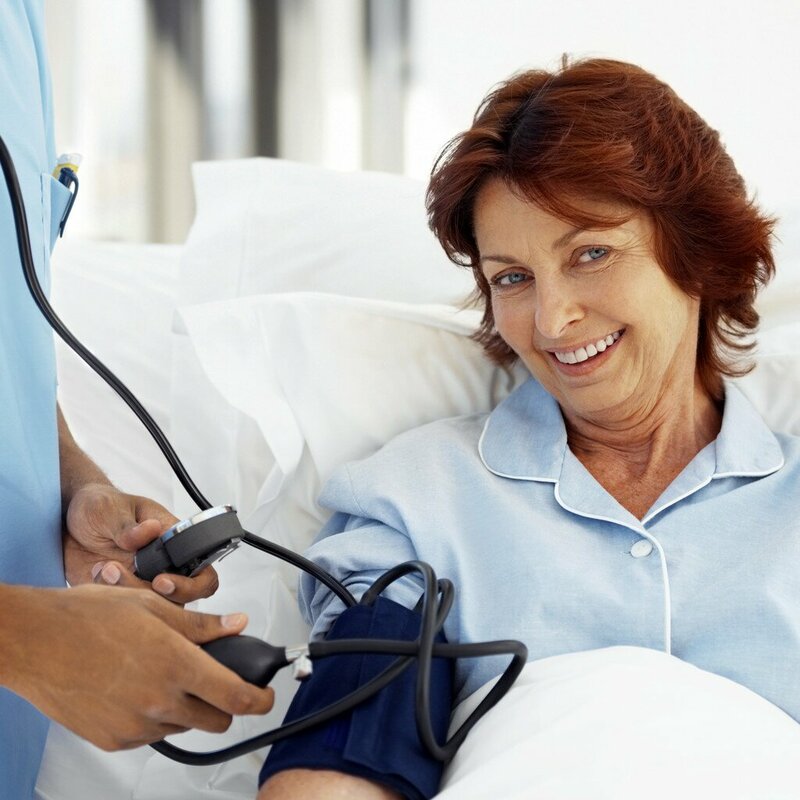 Medical treatment programs usually center on prescription drugs, surgical procedures, or a combination of both to either reduce the risk or repair existing damage to the vascular system. While this list is not exhaustive it does include many of the more prominent treatment programs. Let’s look at each in relationship to the endothelial cells and nitric oxide production. Taking drugs to normalize blood pressure. High blood pressure can damage the endothelial cells. Yet, learning how to naturally nourish your endothelial cells to improve their ability to produce nitric oxide can also normalize blood pressure but without the side effects of medications. Taking drugs to normalize blood sugar levels. This is especially important for those with diabetes. But, equally important is having in place a nutritional program that will help to repair the damage high blood sugar can cause the endothelial cells. Taking drugs to lower lipid levels. Statin drugs are the most commonly used lipid-lowering drugs because they effectively interfere with the production of cholesterol by your liver. Unfortunately, they also interfere with the creation of Co-Q10 which is extremely important for heart health and overall energy production. The main purpose of statin drugs is to keep LDL Cholesterol or Bad Cholesterol from damaging the endothelial cells. The proper production of nitric oxide can also repair this damage and keep the “Bad” cholesterol from creating damage in the first place. Aspirin inhibits sticky platelets cells from forming a blood clot. Nitric oxide also keeps blood platelet cells from sticking together but without the potential risk for bleeding. Balloon angioplasty. To open blocked or narrowed vascular vessels a balloon-tipped catheter is inserted into the body. When the narrowed vascular area is reached the balloon is inflated to press the plaque deposit against the vascular wall. This procedure is designed to increase the diameter of the affected area to improve blood flow. The concern is that the balloon procedure will damage the endothelial cells creating a stimulus for additional scarring and plaque formation. This procedure treats a symptom but doesn’t solve the underlying problem. Stenting. Following angioplasty a metal tube called a stent will be placed in the vascular area to help keep it open. The stent acts as a scaffold to support the vascular wall. To prevent additional complications from the endothelium and blood clotting on the metal surface, patient are asked to take specific drugs. Again, this procedure treats a symptom but doesn’t solve the underlying problem. Bypass surgery. This surgical procedure uses arteries or veins from other areas of the person’s body to bypass the blocked vascular area to improve blood flow. Again, this procedure treats the life-threatening event but doesn’t solve the underlying problem. All of these treatment programs are important. Most of the self-care at home treatment programs help to protect and nourish the endothelial cells. Most of the medical treatment programs limit additional damage to the endothelial cells or are used to correct a problematic area of the vascular system. No one is questioning the proper use in helping to reduce risk and/or save a person’s life from the arteriosclerosis and atherosclerosis. It all centers on nourishing and repairing the endothelial cells to improve their ability to properly product nitric oxide, the master signaling molecule of the cardiovascular system or what Dr. Ignarro refers to as “the body’s natural cardiovascular wonder drug.” We’ll explore this in future articles. The information contained in this article is for general information purposes only and never as a substitute for professional medical advice or medical exam. The information about Arteriosclerosis and Atherosclerosis contained in this article has not been evaluated by the Food and Drug Administration and should not be used to diagnose, treat, cure or prevent any disease without the supervision of a qualified medical doctor. Arteriosclerosis and Atherosclerosis – General Overview! There is a lot of confusion between arteriosclerosis and atherosclerosis but one thing is certain, combined they account for nearly 75% of all deaths from heart disease! This unpleasant statistic comes from the American Heart Association 2004 Heart and Stroke Statistical Update. In the United States alone, approximately 1.5 million heart attacks occur annually. Most people are familiar with heart attacks or strokes. You likely have a family member or friend who either suffers from the consequences of one or has died due to one. Because of this a great deal of emphasis is placed on preventing heart attacks and strokes. While this is important, the real emphasis should be put upon preventing arteriosclerosis and atherosclerosis because they are the underlying cause of heart attacks and strokes. Arteriosclerosis is any disease process that leads to the abnormal thickening and hardening of the arterial walls. Atherosclerosis is the disease process that causes plaque formations to develop on the interior surface of the arterial walls. Both arteriosclerosis and atherosclerosis cause problems and complication to blood flow. Arteriosclerosis reduces the elasticity of the vascular wall leading to high blood pressure. 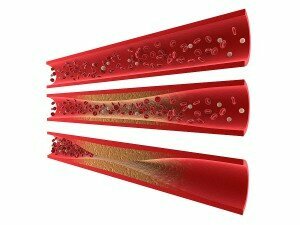 Atherosclerosis reduces the interior space of the artery leading to reduced blood flow. Reduced blood flow reduces the ability of your cardiovascular system to deliver needed oxygen and nutrients as well as remove waste products from cellular respiration. This then affects the organs’ ability to function optimally. The most common arteries affected are those in the brain, heart, kidneys, abdominal aorta, carotid artery, and legs. This can then lead to a whole host of symptoms like leg pain, muscular weakness, numbness, cramps, dizziness, chest pain, poor wound healing, and erectile dysfunction. 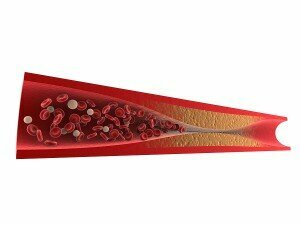 As atherosclerosis progresses in its narrowing of the arterial space it not only reduces blood flow but it also increases the potential for blood clots to form as well as plaque-like deposits breaking off. This can then cause complete blockages resulting in the common life-threatening diseases we call heart attacks and strokes. Both arteriosclerosis and atherosclerosis are progressive diseases. This means that they didn’t develop over a short period of time like an infection but they develop over a long period of time. For many in the United States, this disease process can start in early childhood and progressively become more severe as the person ages. Risk Factors That Can Lead to Arteriosclerosis and Atherosclerosis! Western diet, which is excessive in saturated fat from meat, dairy products, eggs, and fast food combined with an inadequate intake in fruits, vegetables, and fish. Being male unless you are a women who has reached menopause. Have a family history of heart disease and stroke especially if it’s based on genetics. African American since this population group has a historically high degree of high blood pressure and diabetes leading to premature stroke, heart attack, congestive heart failure, and death. It is damage to the endothelial cells that line all of your cardiovascular system which reduces their ability to properly produce nitric oxide, the master signaling molecule of the cardiovascular system. The information contained in this article is for general information purposes only and never as a substitute for professional medical advice or medical exam. The information about Atherosclerosis and Arteriosclerosis contained in this article has not been evaluated by the Food and Drug Administration and should not be used to diagnose, treat, cure or prevent any disease without the supervision of a qualified medical doctor.